Are you interested in working in the long term care profession? If so, connecting with our ACHCA community of post-acute and aging services leaders, as a student member, is the right first step in your career arc. Apply online. ACHCA is the only association devoted to meeting the needs of today’s long term and post-acute care professionals. Society often portrays a negative stereotype of nursing homes. ACHCA seeks to change the way students think about our industry. We want you to connect and learn from the Administrators that work hard, along with their teams, to help ensure that their residents receive quality care. 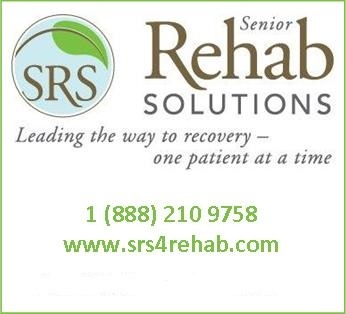 We are the professional home for the long-term care Administrator. "ACHCA is essential in providing education, training, professional development, and the resources necessary for administrators to be effective and efficient in performing the complex tasks associated with our jobs." This is the perception of Academic Director on the ACHCA Board, Dr. David G. Wolf, CNHA, CALA, CAS, FACHCA, Associate Professor of Health Services Administration for Barry University’s School of Professional and Career Education, when asked what #IamACHCA means to him. The best way to receive value from your ACHCA membership is to be engaged! Tailor your ACHCA Experience by building a diverse network across the long-term and post-acute care continuum, both locally and nationally, that supports your professional development and goals. Learn from experienced Administrators, share questions with your peers, and advance your understanding of the complex issues related to the evolving healthcare landscape. Communicate with Administrators that can offer practical, real work experience that can help develop your knowledge and problem-solving skills related to the care of long-term care residents. As a member, you will build levels of a community using the ACHCA Member Portal. The Portal features forums, committees, circles, and individual connections with members across the post-acute and aging services spectrum. Membership elevates your knowledge base through connection to the community of long-term care, post-acute care, and aging services leaders. Individuals seeking entry to the post-acute and aging services profession at an accredited college or university are eligible for this membership. Eligibility for this membership -- you must be enrolled full-time in an undergraduate or graduate program in health services administration or related administrative field that leads to a bachelor's degree or higher. *Along with the application, proof of enrollment is required for this membership (see below). Individuals licensed as administrators or executives in long-term care administration are not eligible for this membership. Apply online or download an application. ^*Student status is limited to five years.